Please contact Tricia O’Leary, Head of Home, on 01865 718467 to arrange a visit. We welcome enquiries from anyone looking for the right Home to care for their relative. Please contact us on 01865 718467 if you would like to visit Vale House to talk about this. When you visit, we will show you round the Home and answer any questions you have, and will give you an application form. Once you have sent us the completed application form, a nurse from Vale House will come out (at a time suitable for you) to meet the prospective resident and to carry out an assessment of their Nursing needs. If we judge that we are able to meet these needs, and you would like your relative to come to Vale House although we have no vacancy at that time, we will put their name on our waiting list. 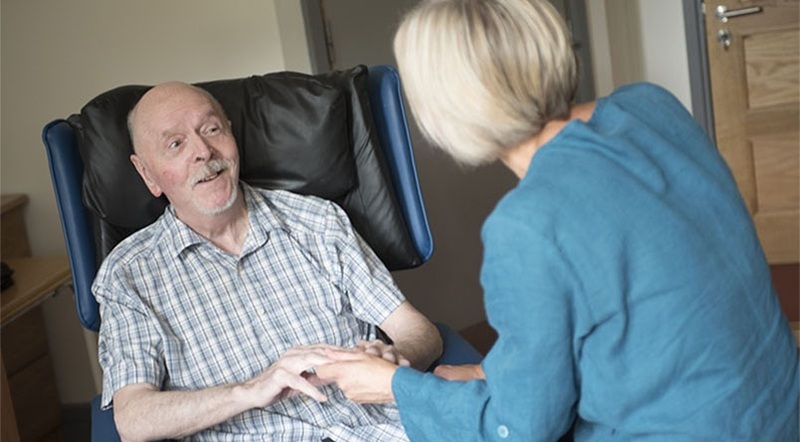 We use this list differently from a standard waiting list: when a vacancy in Vale House arises, we try to offer the place to the person in most urgent need, rather than the person who has been waiting the longest. Sometimes a person is not yet ready to move into permanent nursing care, but the family need additional help to support them at home. We can offer respite care (a week’s admission to Vale House on a regular cycle) in these circumstances. If you would like to know more, please contact us on 01865 718467. We know how hard it is for people and families to make these transitions, and we are happy to talk through your concerns at any time. DOH.gov.uk/continuinghealthcare or look at your County Council or Unitary authority web site.